In 1911 John Shaw Buckley (photograph above), headmaster of Birch School published his small but invaluable 'History of Birch-in-Rusholme, mentioned in earlier pages. Today it is an interesting glimpse of his life and circle of friends in Rusholme. Chapter 10, 'Birch Literary Society' provides a brief insight into just one of the aspects of self-education and learning amongst his academic and clerical colleagues. Now it does seem a very long way from any events held in Rusholme - chapter 10 is very short so it is copied in total below. Chapter 10. " Knowledge is power "
It is natural that I should say a few words about a Society of which I was the first Secretary. The Society was founded in 1876, as an outcome of the Manchester Church of England Literary Union, to which we became affiliated. The objects, as stated in the minutes were: ''The moral and intellectual improvement of its members by means of lectures, essays and discussions; and the binding together of those either interested or engaged in church work." The first officers were: President, Ven. Archdeacon Anson; Vice-Presidents, the Rev H. A, Crosbie and W. Marsden, Messrs. C.J. Pooloy and Sir Edward Donner; Treasurer, Mr. F. S. Bayley; Hon. Sec., Mr. J. S. Buckley; Committee, Messrs. J. Bridge, T. Clough, H.Craig, W. Frevillier, J. Line, H Nall. Professors Schuster, Sir W. Boyd-Dawkins, A. Gamgee, Dr. Roscoe (now Sir Henry), Core, Balfour Stewart, Milnes-Marshall, Dixon and Tout; the Rev. and Hon. A. T. Lyttelton, Mr. Geo. Milner, Sir W.R. Anson, the Rev. 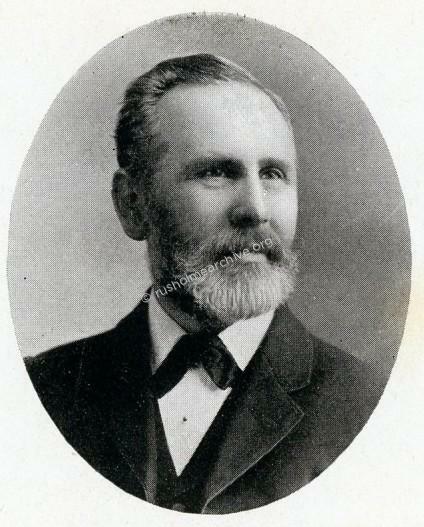 WR Anson, the Rev. W Stephens, DD Dean of Winchester, Mr Leo Grindon,(Botanist) Mr Sam Brandram (Recitals from Shakespeare). Many of us can remember lively and stirring debates, " Home Rule," for instance. Amongst the members who joined in the first session the following are still living, and some still amongst us : The Revs. II. Norburn and H. A. Crosbie; Messrs. F. S. Bayley, T. Clough, J. Nail, W. Craig, W. E. Ryder, Geo. Ryder, Frank Allen, E. Harley, Jos. Mottershead, Robert Borroughs, W. F. Lane (now Councillor Lane-Scott), Charles Bird, W. Adkin, S. Adkin, J. S. and R. Renshaw, J. Bridge, and J. S. Buckley (Secretary). The Archdeacon had often, before the founding of the Society, invited distinguished lecturers. To mention two: John Ruskin gave two in the Rusholme Public Hall entitled, " King's Treasuries," and " Queen's Gardens." The Rev. Walter Hook also gave a famous lecture, in the same place, on " Church Music." The Society is entering on its thirty-fifth session, and is in full vigour. It has had its ups and downs, but on the whole has been more or less successful. Let us hope that the Society has fulfilled the objects for which it was founded. You can now read the entire book as it has now been scanned to PDF format. It is on the next page - you will require Adobe software to download the file.